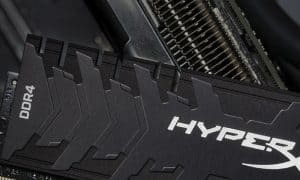 When I hear the name Logitech, the first thing that comes to mind is quality peripherals for the computer. 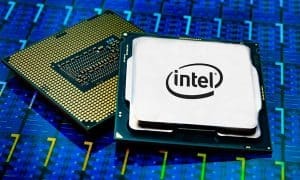 I purchased my first computer in 1995 and have had countless Logitech products through the years. 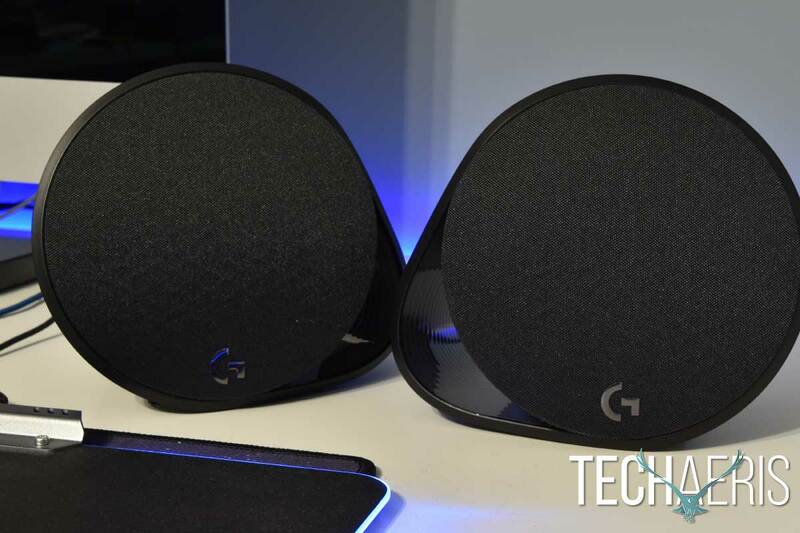 Logitech is looking to spice up your gaming experience with the new G560 gaming speakers. 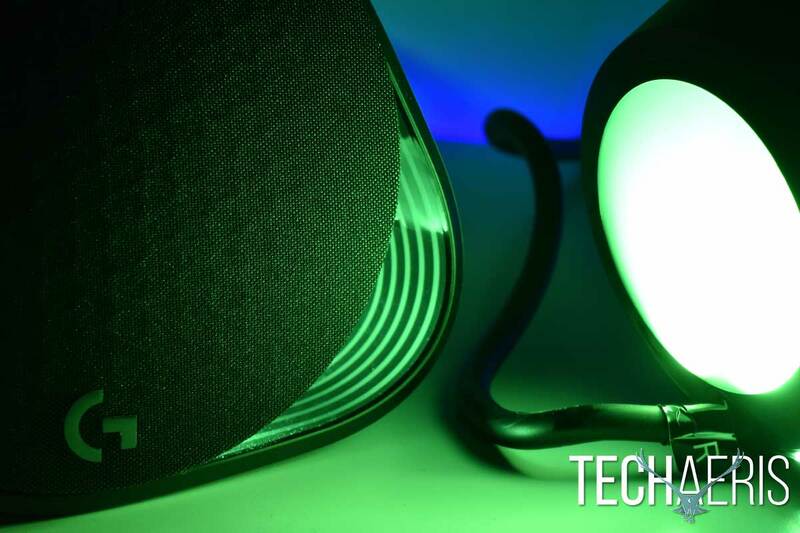 Will these new speakers be more than just a pretty light show? Read on for the full review of the Logitech G560 gaming speakers to find out. The Logitech G560 is a 2.1 computer speaker system specifically designed with gaming in mind. A 2.1 speaker system includes two satellite speakers and on subwoofer speaker. 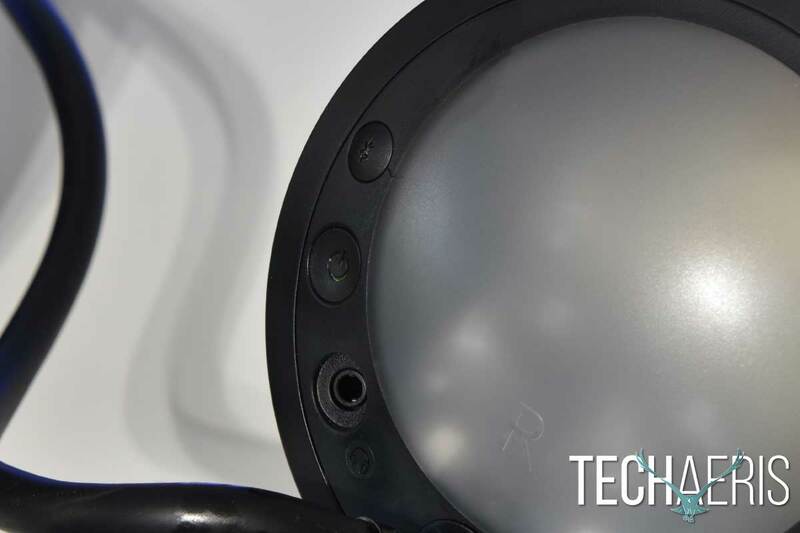 These satellite speakers are round with a sort of flying buttress protruding from one side. The flying buttress serves two purposes. 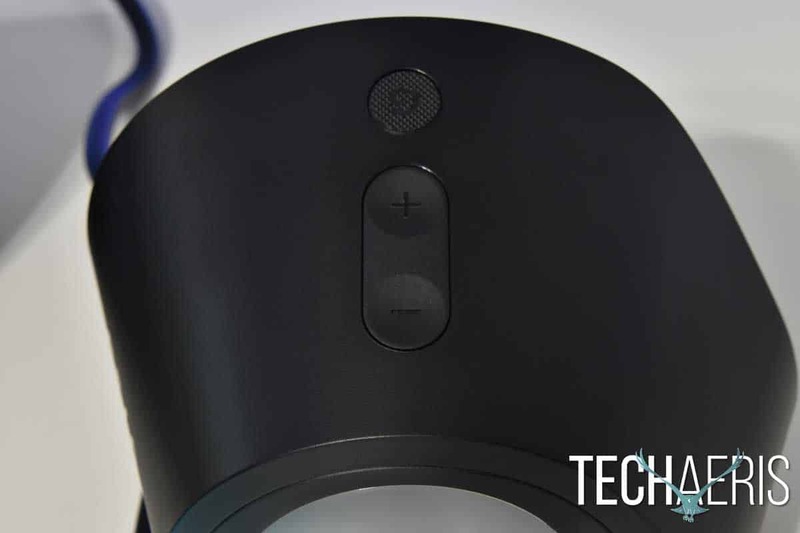 First, it gives the round speakers a flat bottom that keeps them from rolling around on the desktop. 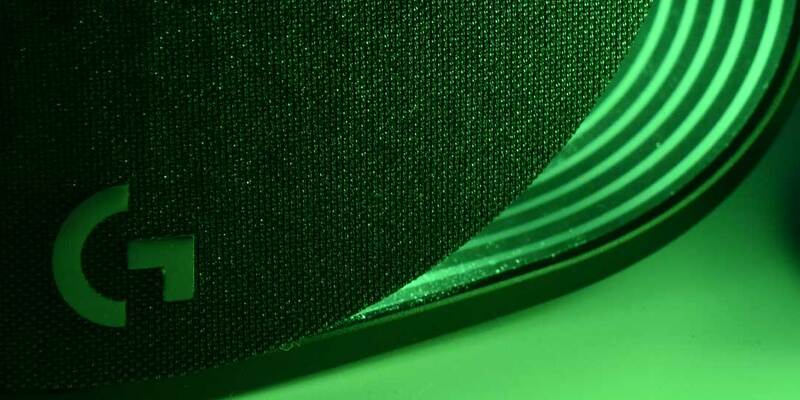 Second, it has a linear graphic design that lights up nicely with LEDs that are placed on the bottom of the speakers. 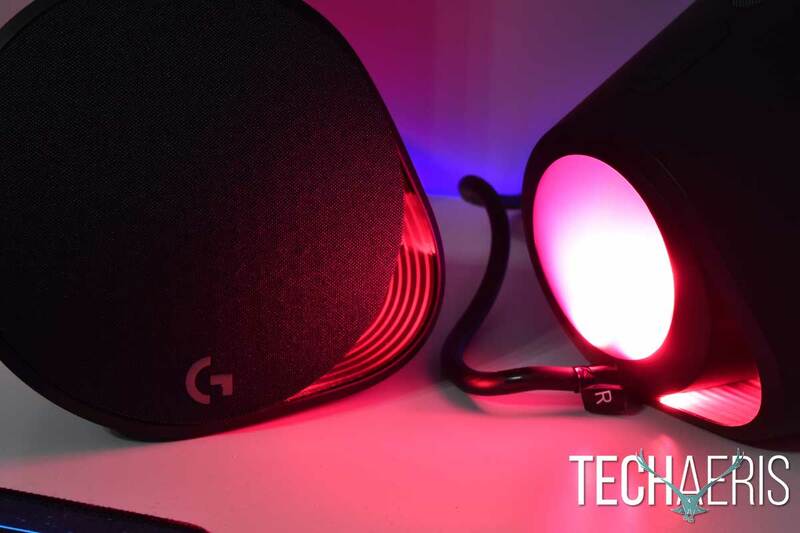 The front of the speakers feature cloth speaker covers, the Logitech G logo in chrome, and the right speaker also has an “on” light indicator. The top of the right speaker houses the volume up and down button, along with a mode selection button. On the back of the right speaker, there is a Bluetooth button, the power button, and a 3.5mm input jack. I do wish the 3.5mm jack was in front for easier access. The subwoofer is pretty straightforward, just your typical bass module with an aux port, USB port, connections for the speakers, and a power cord. The subwoofer does seem a bit taller than most units I have seen before but considering most people place it under the desk, size isn’t a problem. 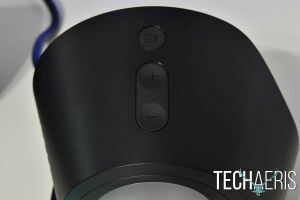 The Logitech G560 speakers are not your typical computer speakers, you don’t just plug in all the wires, turn the system on and forget about it. In order to get optimum performance, these speakers require some set up. The first thing you will need to do is download the Logitech gaming software program. It’s here that you will find the necessary tools to completely control and customize the G560 speakers. 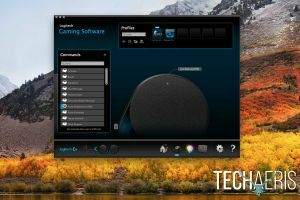 Logitech has a few short videos you can watch to learn how to use the system. 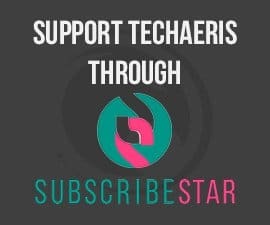 I would advise watching the videos as they make using the system much clearer. I was a bit daunted when I first downloaded software, I’ve never seen so many settings for speakers in my life. The Logitech website, videos, and just playing around with the settings made using the G560 speakers easier than I thought it would be. There still is a steep learning curve for getting the most out of the G560 speakers though. 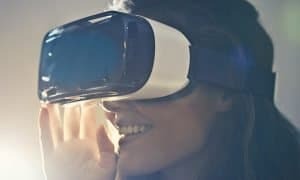 After you have the software loaded, it’s just a matter of making all the connections. 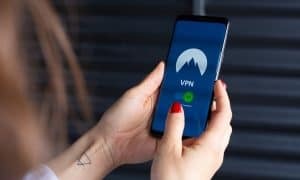 You can connect to your computer via USB (recommended for full functionality), aux cable or Bluetooth. The buttons on top of the right speaker control the volume, and there is a “G” button there that is programmable in the software. All in all, this part of the setup is typical of computer speakers. 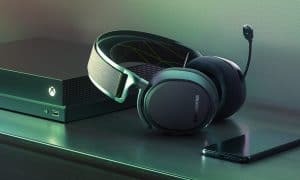 The sound of the Logitech G560 speakers with default setting leans rather heavily towards bass. The bass is huge and booming. The satellites do an excellent job of delivering highs and mids without jumbling them together. What I especially liked about the G560 speakers is that the software comes with a 2 or 10 band EQ. You can choose the 2 band if you really don’t want to bother with the 10, and you can choose the 10 band should you want to really dial in the sound to your liking. There are also several preset EQ profiles that you can select right out of the box: Flat, FPS, MOBA, Drop the Bass, and Cinematic Gaming. You may add other profiles or adjust the existing ones and save them for use in different applications. I found that the default setting was much too bass heavy for music, so I adjusted the 10 band EQ accordingly and saved that preset for when I was listening to music. The EQ is a great feature to have because it let me emphasize the mids and just slightly drop the bass, making for a custom sound that was exactly how I wanted it to be. 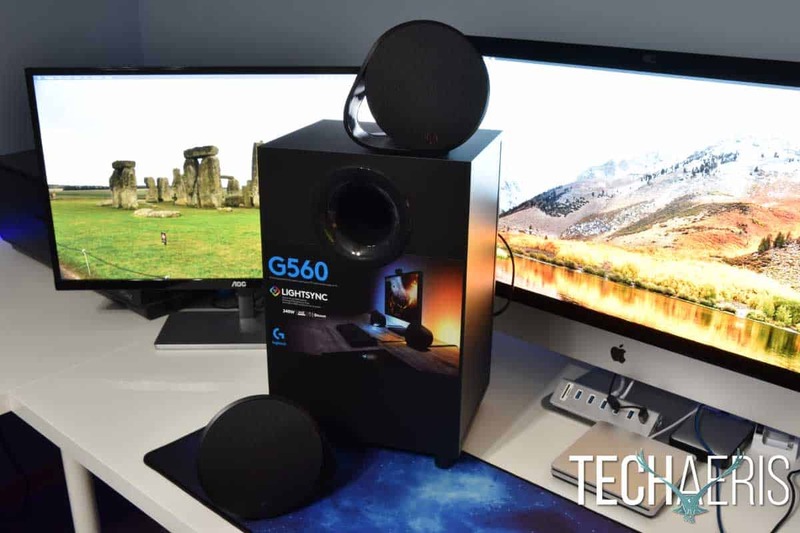 The G560 speakers do feature DTS:X Ultra Surround Sound, but it is not supported on macOS. Before I get too far into discussing the software, I should let you know that I’m an Apple fan. I own several iMacs, MacBook Pros, and that last phone I owned that wasn’t an iPhone was a Motorola Razr flip phone. So here I am, running tests on gaming speakers with an iMac. I may be an Apple devotee, but even I know iMacs are not the best platform for gaming. But I’m giving it a go anyway, wish me luck. 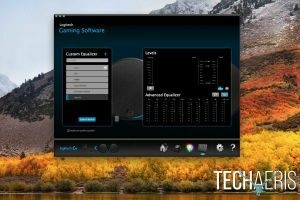 The software that comes with the Logitech G560 speakers is somewhat involved and allows you to fully customize your speakers. You can spend a lot of time setting the speakers up just how you want them, or you can simply plug them in the let the screen sampler take over. Either way, the G560 lights really do add to the experience of the game. It’s best to play with the room lights off so that the light show truly envelopes you during gameplay. When I first set up the lights, I thought they would be distracting. 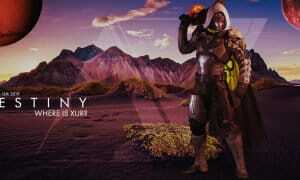 I soon forgot that the lights were even there and just became immersed in the game even more than usual. 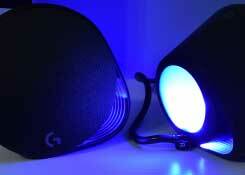 The light scene that these speakers create in the room truly added to the enjoyment of gaming. I did have a few issues while using the G560 speakers, twice my iMac just switched itself back to the internal speakers. Also, the profile for Counter Strike: GO didn’t function as it should. But keep in mind, support for iMac was only one week old at the time of this testing. 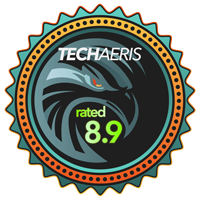 As with any software, there are bound to be improvements as time goes on. Have the software sample sections of your screen, this lets the speaker lights match the color on the screen. You can designate specific areas on your screen that you want sampled. Designate a specific screen for sampling if you are using a multi-screen setup. Designate specific areas for each of the four lights on the speakers, right front, right back, left front, and left back. You can have each light up to different sections of the screen should you choose. 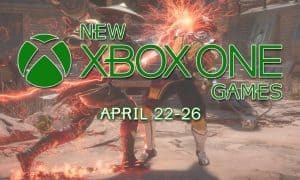 Create and set your own game profiles for any game you would like to. Change the brightness of the lights on the speakers. Program the “G” key on top of the right speaker for different functions. 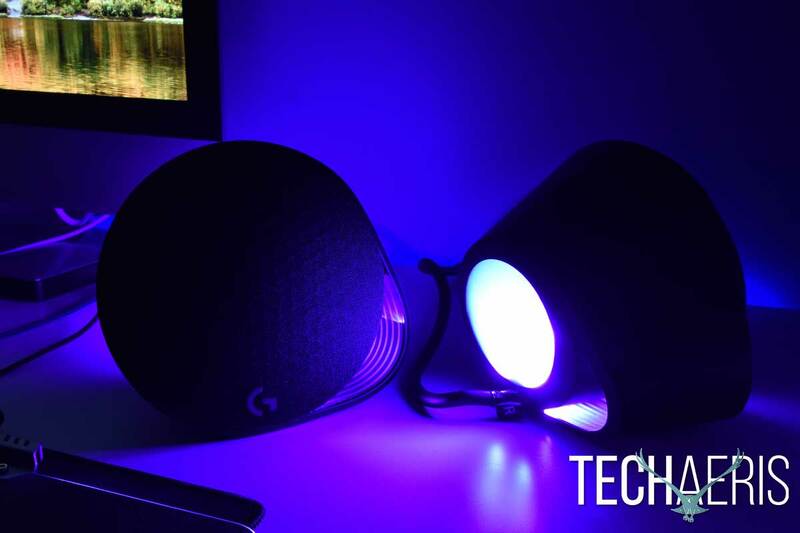 Use the speakers simply as RGB speakers with four different light styles. Customize specific colors for the light styles or let the colors cycle through. Customize the sound with either a 2 band of 10 band EQ. The Logitech G560 gaming speakers are available from Logitech or Amazon for $199.99USD. This price may be a bit high for some, but not only do you get a set of 2.1 desktop speakers with outstanding sound, they are also a fantastic set of gaming speakers with integrated RGB lights that synch with your games. 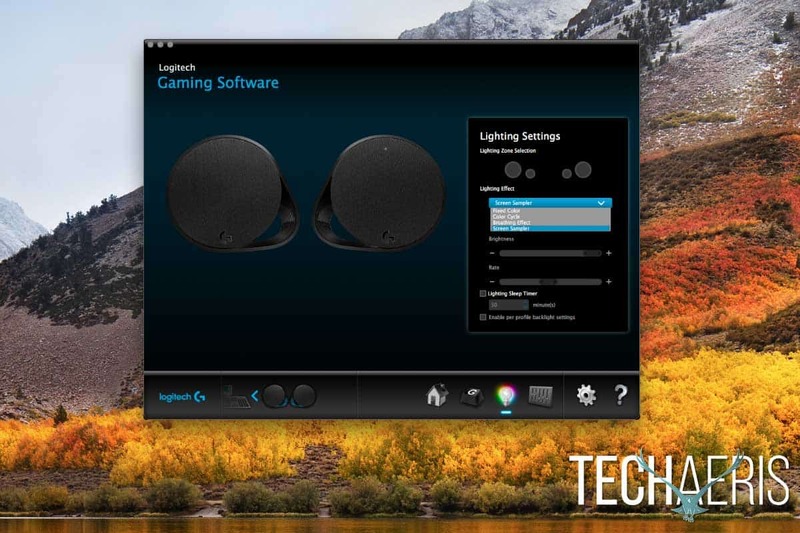 Logitech G560 RGB Gaming Speaker System. I’ve been a gamer since Pac-Man came out in the early 80’s. I remember standing in line, waiting for my turn to drop a quarter into the slot and play the game. Tempest, Omega Race, Defender… I loved playing them all at my local arcade. 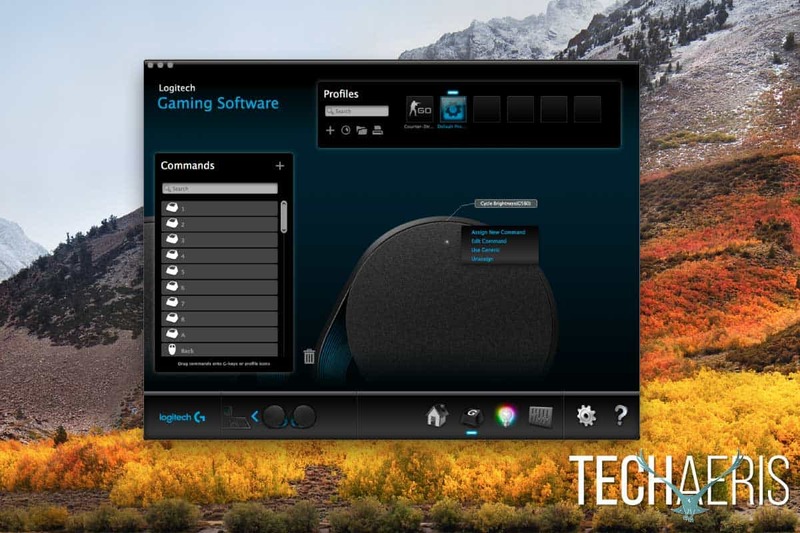 And yeah, maybe these days I mostly play Fallout and Skyrim, but I still enjoy gaming and I have to say, the Logitech G560 speakers really add to the enjoyment of playing games. By some small measure, they actually bring the game off the screen and into your environment. 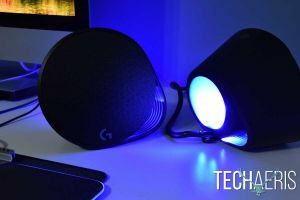 I’m sure not everyone will want to pay the $199.99USD asking price, and not everyone likes lights all over, but if you do, I think you will love the Logitech G560 RGB gaming speakers. 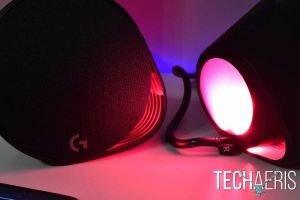 We received a sample of the Logitech G560 RGB Gaming Speakers for the purposes of this review.